Paytm CEO Vijay Shekhar Sharma had once said that his biggest regret while founding Paytm had been to not include a messaging service within the app — messengers have high-frequency use cases, and people who use an app for sending messages can then be goaded into use other services on it, including payments and e-commerce. But Paytm now seems to be making up for lost time by including not only messaging, but also a host of other features on its main app. Paytm has said that its app will soon come with several new features, including Live TV, news, cricket and entertainment videos, and games. These features will be made available through Paytm Inbox, Paytm’s messaging service which it had launched last year. From the screenshots that Paytm has shared, it seems that Paytm Inbox will have a Facebook-like newsfeed where it will share links to news stories; a live tv section which will show content from channels like Aaj Tak, India Today and ET Now, among others, a bigger bouquet of games, and even a section for “infotainment” videos. “We have been running comprehensive beta testing for this new service and have received a very favourable response,” said Paytm in a blogpost. 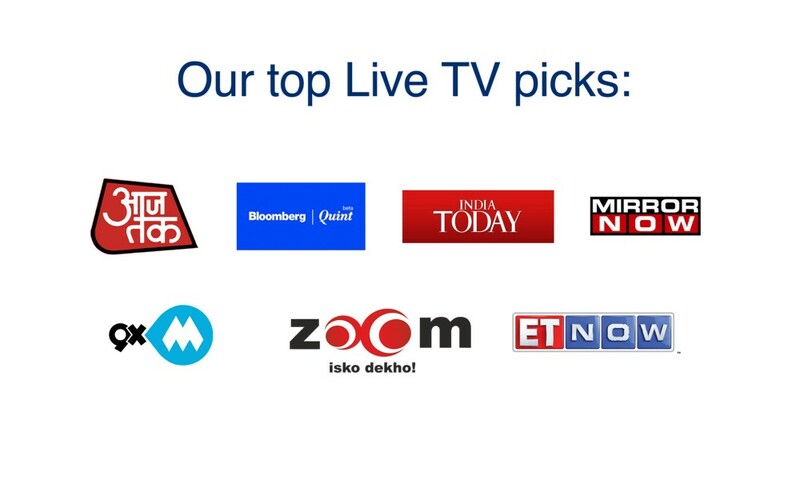 “We have partnered with several content providers to ensure the best of infotainment is delivered to you,” it adds. Paytm says the new features will be live on iOS by the weekend, and on Android by next week. Now there’s no dearth of services at the moment which provide live TV and news updates — the channels that Paytm will stream live can already be accessed through their own individual websites, and services like Google News and Feedly provide news updates. But what Paytm seems to want to do is to make its app a one-stop shop for most of their users’ most pressing needs. 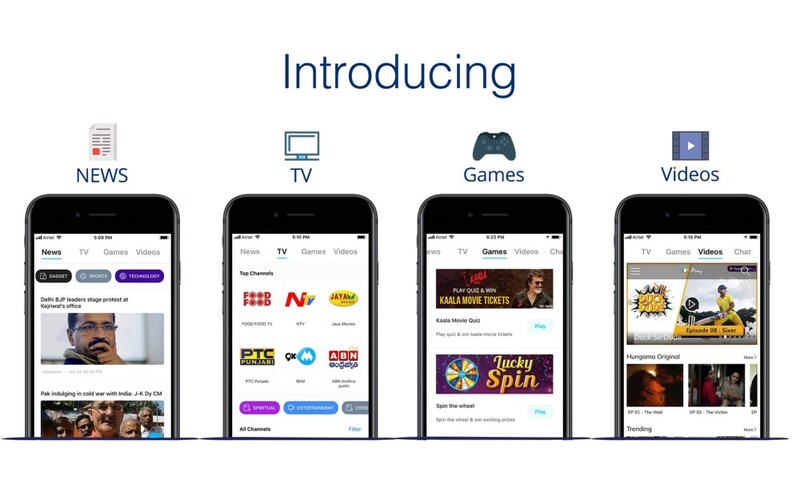 By making entertainment options available on its app, Paytm will make sure that users don’t stray to other apps, and then hit its core payments business by beginning to transact there. And the app that Paytm would be wary of the most is WhatsApp. WhatsApp is already used by hundreds of millions of Indians on a daily basis, and a full launch of its payment feature, which is imminent, could pull users away from Paytm. People anyway open WhatsApp several times a day to send messages — if the app also has capabilities for sending payments, it’s only natural that people will use it, instead of switching to a different app. It’s a model that WeChat runs successfully in China. WeChat provides a dizzying array of functionalities in the same app, including chat, payments, food ordering, and even booking doctor’s appointments, and Paytm looks to be treading the same path. It’s a model that’s been tried before in India — apart from chat, Hike Messenger now has payments, an Instagram-like picture feed and an Inshorts-like news feature, and apps like Tapzo aggregate the functionalities lots of other apps. But Paytm’s entry into the “super app” business could be significant — it would be the most popular app to go down that route, and thanks to its large number of daily users, could find a large audience for its entertainment services. It’s still too early to say whether it’ll be enough to compete with WhatsApp when it eventually launches its payments product, but Paytm is making sure that it not only has messaging, but also a host of other features to make sure users stay glued to its app.